Is the trio that consists of Oskar Forsberg, Pedro Martinez Maestre and new boy in the band Raphael Nick on the drums! Really happy to have him on the project. 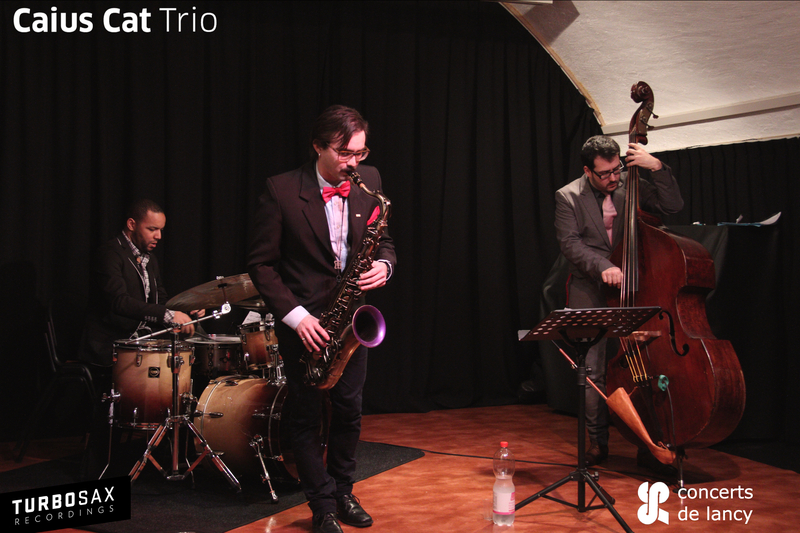 This project is an inter-european constellation traveling throughout Europe playing jazz was founded by me and Pedro Maestre after meeting during our time at University of North Texas. During the summer of 2012 we did a couple of well performed gigs in Barcelona, among others we played at Cat Bar, La Maria Club and Castelles de la Muntanya, as well as an intensive period of playing and rehearsing in Stockholm and Uppsala. During November 2013 we did a recording in Montreux, and a bunch of gigs in Switzerland, we continued then with another tour in January 2014. Among the very appreciated gigs were one Cole Porter tribute at Cave Marignac (Geneve) at this 50th memorial day. We are also doing a smaller Swiz tour in June of 2014. Plus a residency in Barcelona 30april -4th of May. Plus a Swedish tour in the end of March. You can also buy the recordings from TURBO SAX at bandcamp!